We are super excited for Gamga con 2019. We hope to make this the largest Gamga con event yet. We have more guest lined up then ever before and more events planned this year. This year we are expanding our programing into the park connected to the library giving us the freedom to have evem more interactive event. 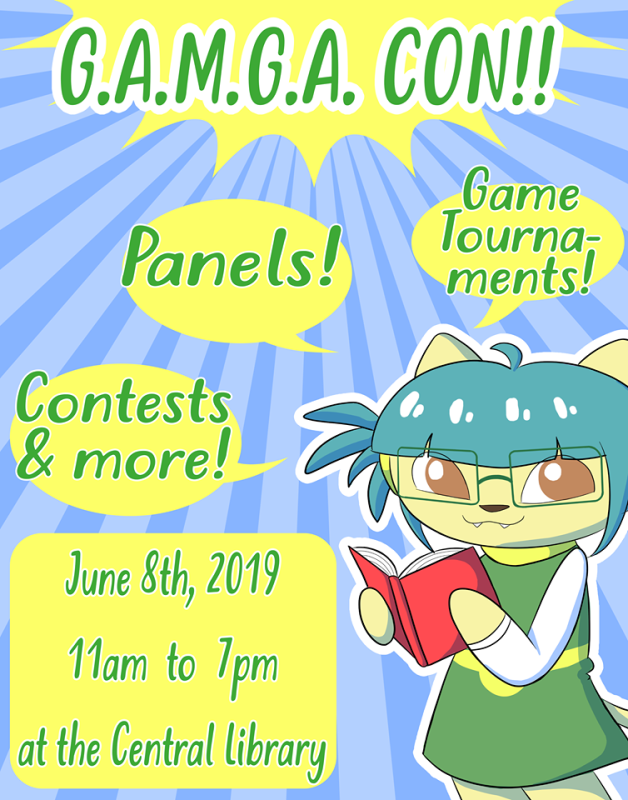 Gamga con is a free Anime, Manga and graphic novel convention run by the Greensboro anime club with a goal to promote literacy in teens and young adults.